This study investigates personal and setting characteristics, teacher attitudes, and current computer technology practices among 764 elementary and secondary teachers from both private and public school sectors in Quebec. Using expectancy- value theory, the Technology Implementation Questionnaire (TIQ) was developed; it consists of 33 belief items grouped under three broad motivational categories: perceived expectancy of success, perceived value of technology use, and perceived cost of technology use. In addition, teacher demographics, teachers' current uses of technology, and availability of resources were also surveyed. 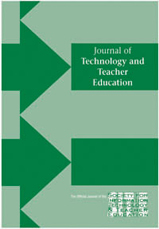 The study found that: (a) expectancy of success and perceived value were the most important issues in differentiating levels of computer use among teachers; (b) personal use of computers outside of teaching activities was the most significant predictor of teacher use of technology in the classroom; and (c) teachers' use of computer technologies was predominantly for “informative” (e.g., World Wide Web and CD-ROM) and “expressive” (e.g., word processing) purposes. Results are interpreted in light of the extent to which the expectancy-value model can explain the variation in teacher beliefs related to computer technology use. As a heuristic, the core of our model of technology use reduces to a simple teacher motivation “equation”: (.39 ' Expectancy) + (.15 ' Value) - (.14 ' Cost) = Technology Use. Wozney, L., Venkatesh, V. & Abrami, P. (2006). Implementing Computer Technologies: Teachers' Perceptions and Practices. Journal of Technology and Teacher Education, 14 (1), 173-207. Chesapeake, VA: Society for Information Technology & Teacher Education. Retrieved April 24, 2019 from https://www.learntechlib.org/primary/p/5437/. Bereiter, C. (2002). Education and mind in the knowledge age. Mahwah , NJ: Lawrence Erlbaum. Briscoe , C . (1991) . The dynamic interactions among be liefs , role me taphors , and teaching prac tices: A case study of teacher change . Sc ience Education , 75, 185-199 . Ross, J. (1994). The impact of an inservice to promote cooperative learning on the stability of teacher efficacy. Teaching and Teacher Education, 10(4) , 381-394.